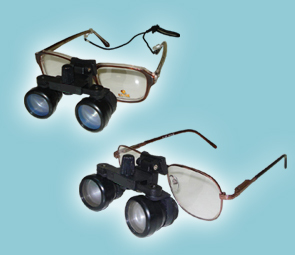 ROSLANE MEDITECH are eminent Indian Exporters of various types of Binocular Loupes and Surgical Loupes. MEDITECH offers, various models of Export Quality Binocular Loupes and Surgical Loupes as Dental Loupe and ENT Loupe. at most affordable price, as per the buyer�s need. Our Surgical Loupe are integral with precision Optics & are light weight. These Surgical Loupes have Large Field of View and Bright Clear Image. These Surgical Loupes are Long-lasting and comfortable. The swing out of view facility is there, when not in use. 2.5x, Working Distance: 450mm Approx.